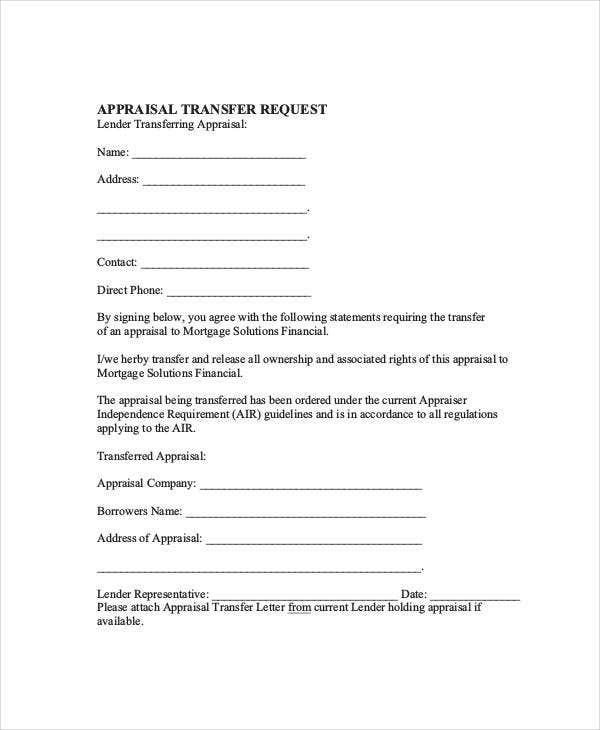 An appraisal letter of transfer is used by mortgage brokers to transfer an appraisal from one lender to another to find their clients a better deal. Brokers should be aware of the internal policies of various lenders so that they can have a smooth appraisal transfer not only for the benefit of their business but also for their clients. 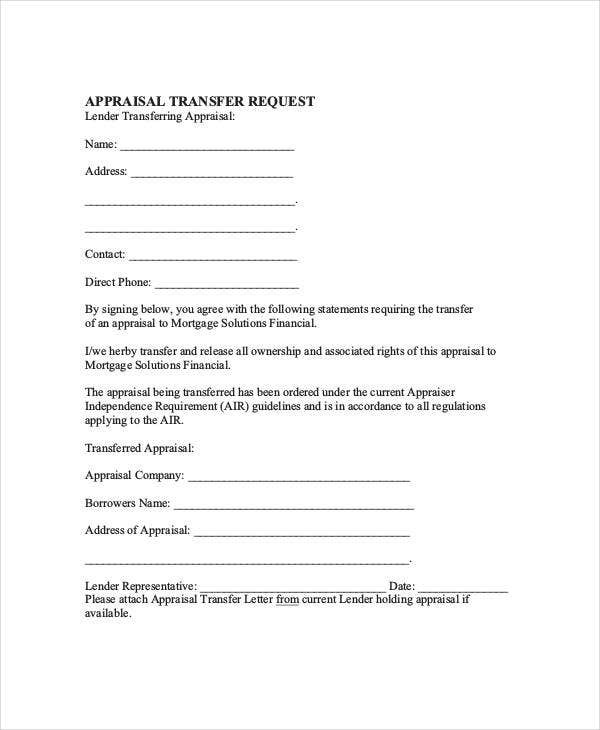 We can provide you with samples of appraisal transfer letter templates if you want to have more references in creating this appraisal letter. More so, we can also give you Letter Template samples so you can be guided in creating different kinds of letters usable for a variety of transactions. 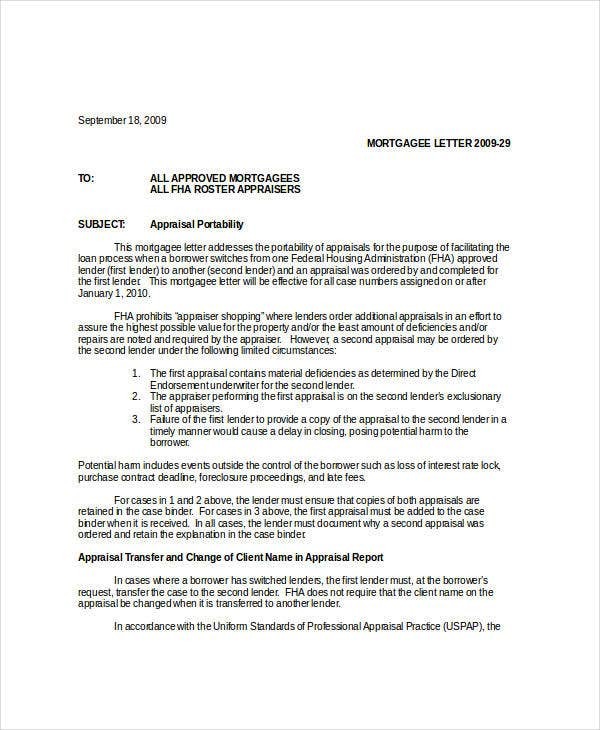 The first lender was not able to provide an appraisal copy to the second lender. Be it a delay in providing a copy of the appraisal or totally failing to provide one, this can cause potential transaction harm to the borrower. The materials that are present in the first appraisal contain deficiencies and other inaccurate information as determined by a representative from the second lender. The appraiser who is tasked to perform the first appraisal is on the exclusionary list of appraisers of the second lender, which makes the transaction impossible to push through. We can provide you with other Transfer Letter Template samples in the link provided for you to have more references in creating other kinds of transfer letters. If you will send an appraisal transfer letter electronically, you need to e-mail a suitable electronic format of the letter as requested by the entity to whom you will send it. 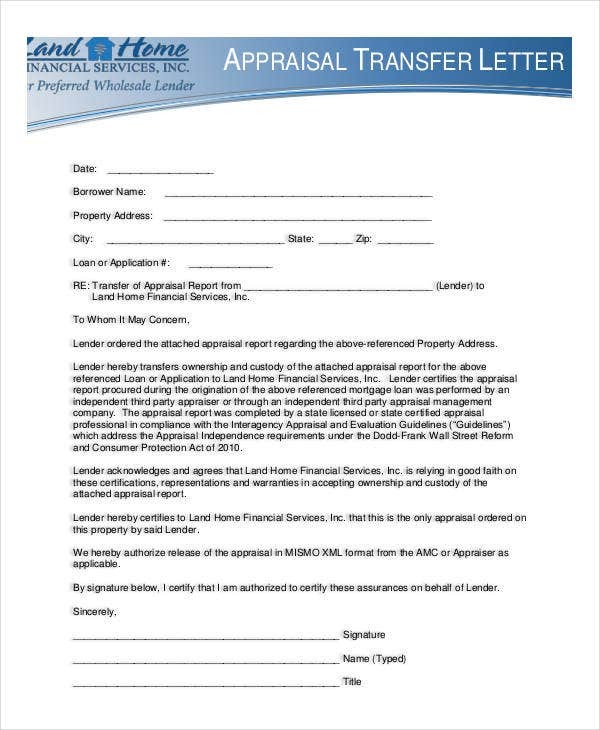 You need to attach the certificate of appraiser independence from the transferring lender. 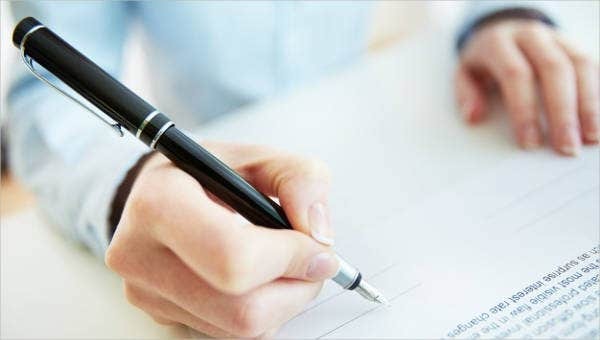 Include in the appraisal transfer letter that you have a copy of the proof of appraisal fee. If there are any corrections and material changes that are needed to be done to the appraisal, assure that the original appraiser is more than willing to cooperate for the changes to be legally implemented. Any modifications of the initial appraisal must be stated and properly outlined. The transferring lender should be the source of the transferred appraisal. The effective date of the transferred appraisal should not be more than 120 days old by the date of the transaction closing. 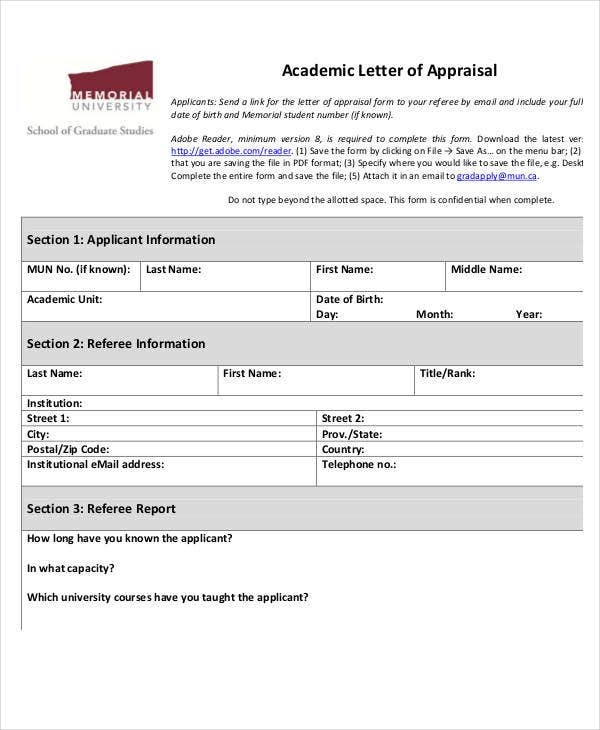 For more letter templates and letter formats of other letters that are used in transactions involving appraisals, you may view our templates of Appraisal Letter in the link provided.